I am IN LOVE with matcha tea right now and am so excited to share my superfood latte recipe with you today! This superfood matcha latte recipe is a cinch to make and it tastes so amazingly delicious. It is the perfect way to start your day or take a recharging break in the afternoon. Not only do you get the benefits of the matcha tea, but you also get the addition of two of my favorite superfoods: coconut and collagen. The coconut milk gives you a healthy dose of good fats (i.e. medium chain fatty acids) and the collagen hits you with a healthy dose of protein and amino acids. It’s a latte that is good for both your insides and your outsides! Before we dive into today’s recipes, did you read last Tuesday’s post about The Amazing Health Benefits of Matcha Green Tea? In that post, I share about my love affair with matcha green tea and why it was a celebration when I reintroduced it recently. I also go into the history and health benefits of this delicious green tea so I won’t go into a lot of detail about all that in today’s post. If you are curious about any of that, I’d love for you to hop over here and read it. I know a lot of people are wondering what brands of matcha I recommend as that is not something that I discussed in Tuesday’s blog post. 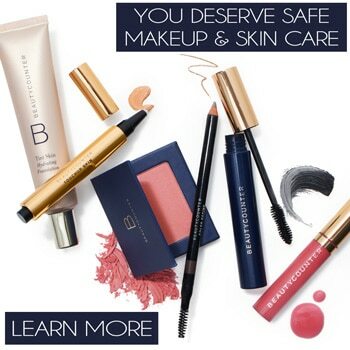 To be honest, there are SO many brands out there with such a wide range of prices that my best advice is to try a few and see which ones you like best. You can easily find at least one brand at your local health food store, or hop on Amazon and you’ll find a gazillion. I discuss these grades in detail in The Amazing Health Benefits of Matcha Green Tea post, but a super quick run-down is that ceremonial is considered the “best of the best.” It is also very expensive and frankly, most people probably won’t be able to tell much of a difference between it and the premium grade. If you have the extra budget, then try one of each grade so you can see how the flavor and aroma can vary. My favorite ceremonial grade matcha that is reasonably priced is this one from Mountain Rose Herbs. In general, the ceremonial grade is going to be a bit sweeter tasting and smoother on the palate than the other two grades. The cooking/culinary can sometimes be more bitter with premium falling in the middle. When it comes to all things tea and herbs, this really is going to depend on your taste buds. Taste is always subjective and if you like bitter flavors (like me), you may not notice the stronger bitterness in some brands. The other thing to keep in mind is budget, so just go with what you can afford that tastes most pleasurable to you. Right before I bought that brand, I had also purchased a bag of premium grade matcha from Natural Grocers (the writing is all in Japanese so I can’t even tell you the brand name). I compared this brand to the Epic Matcha culinary grade version and I truly cannot tell the difference. If you are a true matcha connoisseur with very experienced taste buds, I am sure you could, but for me, the culinary version of Epic is fulfilling both my taste and budget needs for now. Oh, I’ve also tried matcha tea that comes in teabags (like this one), but I really don’t like that style. The flavor never seems to be as good and I don’t get the signature matcha “sludge” in the bottom of my cup that I actually really love. 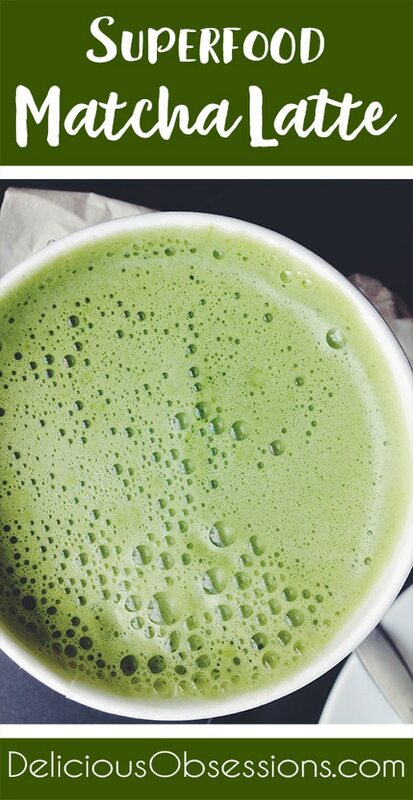 Alrighty, ready to dive into this deliciously healthy superfood matcha latte recipe? Let’s roll! This superfood matcha latte recipe is easy to make, delicious, and filled with healthy fats, protein, and love. In a small saucepan, heat your water and coconut milk until it just starts to simmer. Remove from burner and whisk in your matcha green tea powder until completely dissolved into the milk. Whisk in your collagen, vanilla, and sweetener (if using). Whisk vigorously to create some froth, or you can use an immersion blender or hand frother like this one. Alternatively, you could place all of your ingredients in a blender and blend until smooth and frothy. Not Ready for Green Tea or Caffeine? If you are still deep in your healing journey or just avoiding caffeine for other reasons, then I have a great option for you: herbal “coffees”! I developed these herbal blends when I had to give up coffee completely and needed something to take its place. Coffee, for me, was always a bit of a spiritual experience. It was something that calmed my soul, especially during a time in life where I was needing a lot of extra soothing. I now have these recipes (the very ones that I used when I sold this line of herbal “coffees” online), in my DIY Herbal Coffee Substitutes Blending Guide. Not only do you get access to the recipes I created, you get a TON of info about coffee, caffeine, health, and the nutrition of these herbs. Oh, and did I mention that there are a bunch of coffee shop inspired beverage recipes too? If you’ve got a favorite, then it’s likely in there. 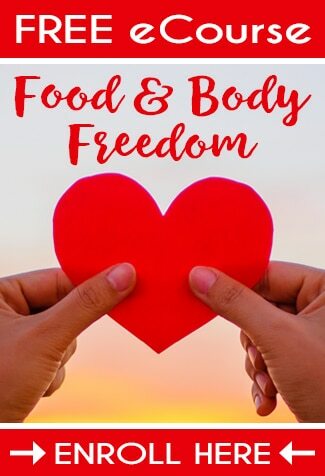 If you’ve had to give up caffeine and herbal coffee is just not cutting it, then this is the book for you. Not only will these recipes soothe your coffee tooth, they will also support (and possibly) improve your health thanks to the nourishing herbs used. 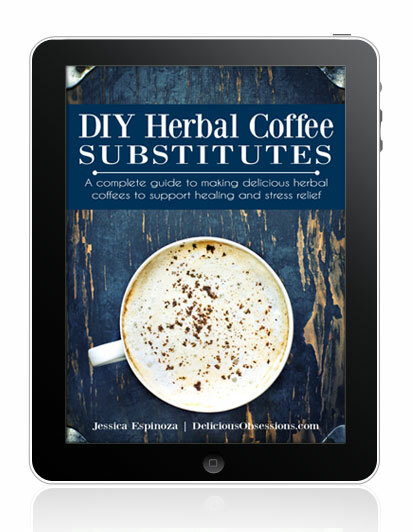 For a limited time, I am offering Delicious Obsessions readers a special 50% OFF coupon code for my DIY Herbal Coffee Substitutes Blending Guide. Use coupon code COFFEE at checkout to save. Learn more and download your copy today here.